This is a quiz over the Magic School Bus "Show and Tell" Archaeology Episode. 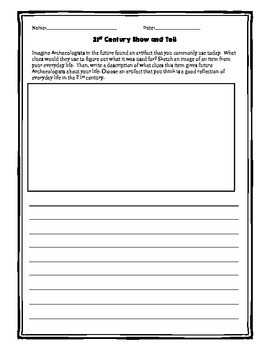 Included is also an assignment where students sketch an artifact to represent the 21st century. What clues does that artifact give future archaeologists? You could even have students bring in artifacts to share as a show and tell in class. 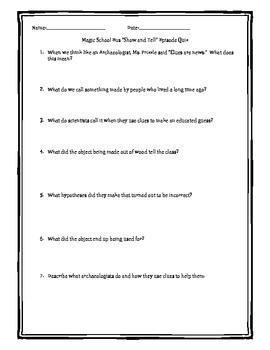 This is a great introduction to archaeology activity.